The field of regenerative medicine holds the promise of creating more effective treatment for damaged organ and tissues by activating the body’s natural repair system. Researchers around the globe are continually producing viable sample tissues, but there are fewer examples of effectiveness inside living organisms. A multidisciplinary team of researchers from leading academic institutions in Japan are working on the production of a 3D bioprinted mini liver. In the most recent study, published in the journal Scientific Reports, the team demonstrates the ability to implant their 3D bioprinted liver tissue into live rats. 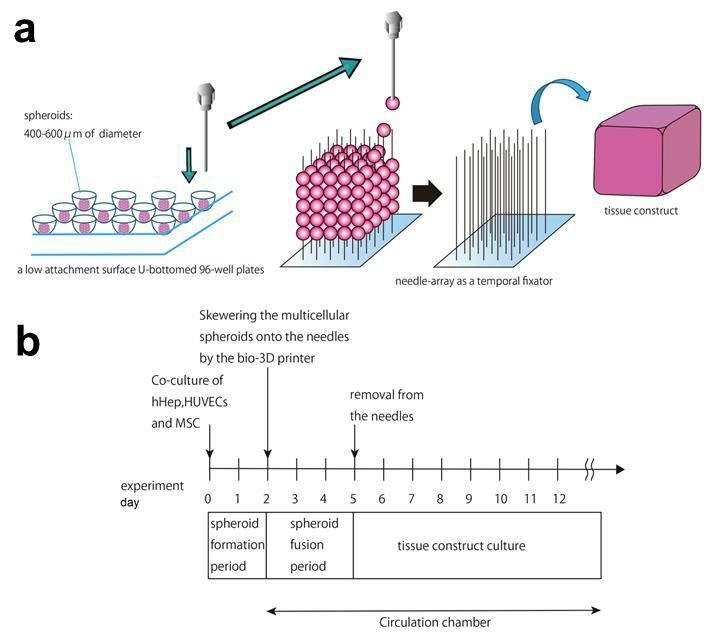 The successful procedure is a positive result for the further development of therapeutic treatments, and adds evidence to new ways spherical cell samples can be made.